In 1850, the year of California statehood, an enterprising, adventurous English couple opened what may be considered the city’s first hotel. Santa Barbara was only the latest in a series of ports of call for Thomas and Mary Anne Moure. Mary Anne Eliza Walker lived in northern England in 1817. Her father was a supervisor in a coal mine. Upon reaching maturity she married a local farmer and carpenter, Thomas Moure. Seven children were born to the couple, but only two survived beyond infancy, a circumstance not that uncommon given the times and the Moures’ economic station in life. In the early 1840s, the Moures took ship to South America. They left their two children in the care of Mary’s mother. Although intending to reunite with their children once settled, this never came to pass; the Moures never saw them again. In her old age, Mary spoke of them as if they were still the youngsters she had left behind. The Moures landed in Montevideo, Uruguay, and saw the need for a boarding house to accommodate the steady stream of visiting mariners. The business was a success, but times were turbulent with tension between the native peoples and the more recently arrived European immigrants. Twice Mary escaped death at the hands of servants who attempted to poison her. The couple, now with a young son, moved to Buenos Aires. Here they opened another boarding house, and Thomas supplemented their income with carpentry jobs. Political unrest was rife here as well, and once again, the Moures pulled up stakes, this time heading for the California gold fields. Their ship put into Santa Barbara for repairs in the early spring of 1850. The Moures stayed a few days with George Nidever and his family. Mary and her family found the locals fascinated by their blond hair, a rare sight in Santa Barbara in those years. Since the Moures spoke fluent Spanish, they felt quite at home and decided to stay. They opened the Ivy Green Hotel in an adobe, now long-vanished, just north of today’s Lobero Theatre. As previously, this hotel was a financial success. The Ivy Green could lodge up to 25 boarders, and when large ships pulled in, visitors had to find space on the tables and floors. Rates were 50 cents for lodging and $1 per meal. In order to better serve those meals, Thomas opened a butcher shop, one of the few in the city, next door to the inn. In the mid-1850s, the Moures moved to larger quarters at 503 State Street, but had to relocate yet again after a few years to make way for new construction. Some accounts have them running the Beach House at the southeast corner of State and Mason streets for a time. Thomas Moure died in 1863. The couple had had 14 children, but only two of them would survive their mother. Mary married Charles Graham, a native of Pennsylvania, in 1867, and they settled into an adobe home at 402 Anacapa Street. Mary Graham became a familiar and beloved figure around town, acting as a private nurse for many local families. 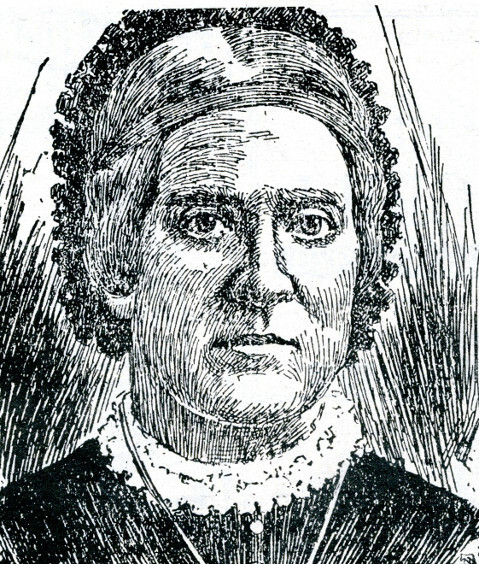 She died, age 81, in 1899 and had lived to see tourism become a key part of the local economy. 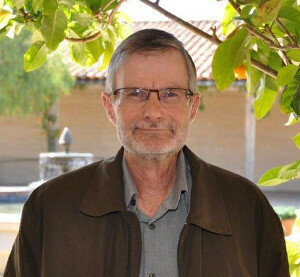 Michael Redmon, director of research at the Santa Barbara Historical Museum, will answer your questions about Santa Barbara’s history. Write him c/o The Santa Barbara Independent, 122 West Figueroa Street, Santa Barbara, CA 93101.